As many of you know, our annual parking lot sale will be this Saturday December 8th from 9am-3pm. We open the parking lot up to our customers to sell their fishing tackle, equipment, etc. Bring a tent, a table or the bed of your truck! There is no fee for setting up a table. As always the only thing NOT allowed is boats or gas motors. The parking lot sale is in the FRONT lot of the plaza. Call or email with any other questions!! Hope to see you there. If any of our customers are in need of cleaning their reels, fixing their rods or are experiencing trolling motor issues should bring in their gear now. We are in our slow down period for fall/winter and this is the best time to get your fishing equipment back to you in a short period of time. Reels are about a week to a week and a half. Rods are done every Thursday and pickup is on Friday. Trolling motor turn around is at 3 days if we have the parts in the shop and about 2-3 weeks if we have to order parts. Hope to see you in Kels soon! Summer is at its peak and so are we with our work load at Kels. Right now for reel repair we are about 2 weeks out, not including parts if they have to be ordered and shipped in. For trolling motors we are at least a week an a half to diagnose the issue and order parts afterwards. Keep in mind we have one worker for all the motors we get in and we have 50+ right now. We also had ICAST this past week, and are a few days behind because of that convention. We ask for your patience and understanding at this time. Thank you. Kels is proud to announce that as of 7/1/18 we are now an authorized Daiwa reel warranty center. We are very excited to share the news and look forward to servicing your reels in the years to come. SATURDAY DECEMBER 9TH: YOU KNOW WHAT TIME IT IS! 9AM-3PM. If you are interested in selling please call and let us know that you plan to join. No fee to set up your own table. NO BOATS OR BOATS ON TRAILERS, GUNS OR GAS MOTORS!! We want to have enough space for everyone and also need to be respectful of the other shops in our plaza. DO NOT get here super early, when we aren't in and start selling. You can come 30 minutes prior to opening hours, at 8:30AM to set up your tent or table. ANYONE is welcome to stop by and see if they want to purchase anything!!! Come out for a good time and just enjoy what we all have a passion for: Fishing. Dont hesitate to call with questions. All of our information can be found in the "Contact Us" tab on the top of the website! Hope to see you there. Welcome the New Year with New Products! With the start of 2017, Kel’s Rod and Reel has added new items to consider when you come in for your annual clean and lube. 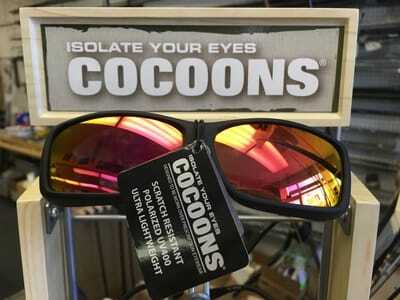 These items all debuted at ICAST and are now on feature in the store. 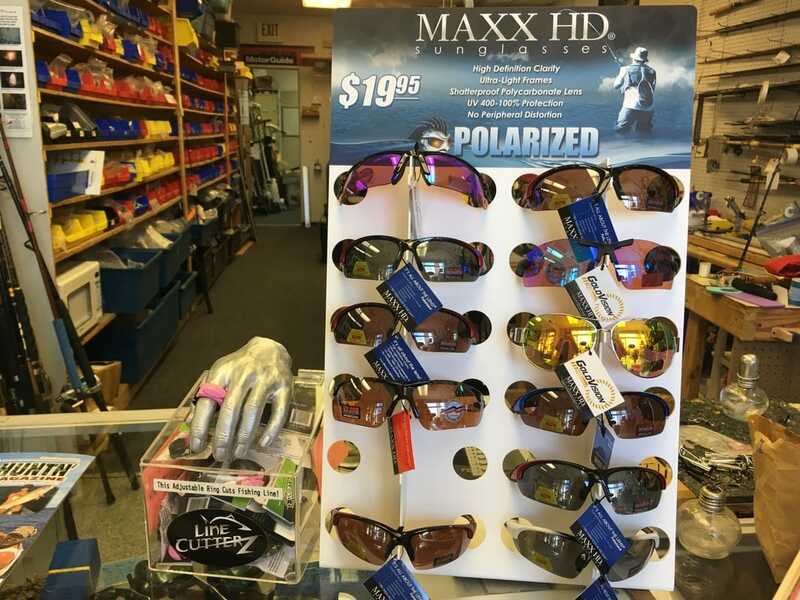 For sunglasses, Cocoons and Maxx HD have been favorites. Cocoons are perfect for the angler that has prescription glasses because they fit directly over and fit snugly against the face. Our shop favorite is the cut ring, available in black or pink. They are an easy way to cut line and tie jigs without taking out scissors or a knife. The line cutters help you rejig quickly and get your line back in the water. As always, we allow customers to sell their fishing reels, rods, and trolling motors on commission. 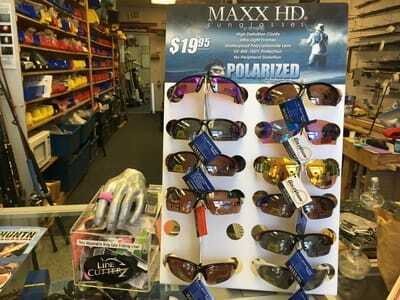 There is often a collection of fishing tackle that was never picked up and customers’ own items for sale. If you are looking for used reels, rods, or trolling motors, come check out the front of the shop. 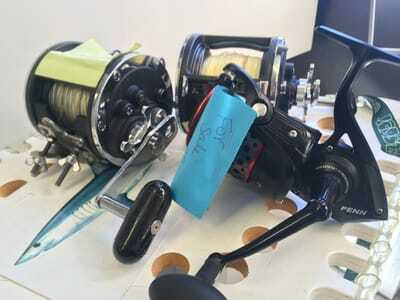 Often you can find a well-made reel or rod for sale. Our technicians are well-versed in most repairs of rods, reels, and trolling motors; therefore, we can assist you with any questions or concerns with purchasing any used item.